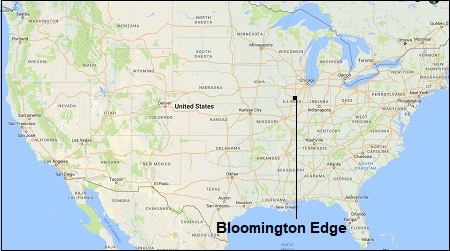 The Bloomington Edge will compete in 2018 comprising a five-game schedule beginning in early July. The team was originally scheduled to make the move from Champions Indoor Football to the Indoor Football League. The CIF sued the Edge, as well as the West Michigan Ironmen to prevent them from leaving that league and joining the IFL. The CIF won the suit in a Woodbury County court, and were banned from joining a league outside of the CIF during the 2018 season. The Ironmen are rumored to be returning to the CIF in 2019. The Edge, in turn have elected to schedule six games against independent indoor teams. The Edge have indicated their plan is to officially join the IFL for the 2019 season. They share a sports fan base with the Normal Cornbelters, a minor league baseball team which competes in the Frontier League. All of the Edge's games this season are played on their home field at Grossinger Motors Arena in Bloomington, Illinois. Below is the Edge's 2018 schedule. Times and dates are subject to change. All times are pacific as per this site. Central time, the zone where the Edge are located, are noted noted as well.